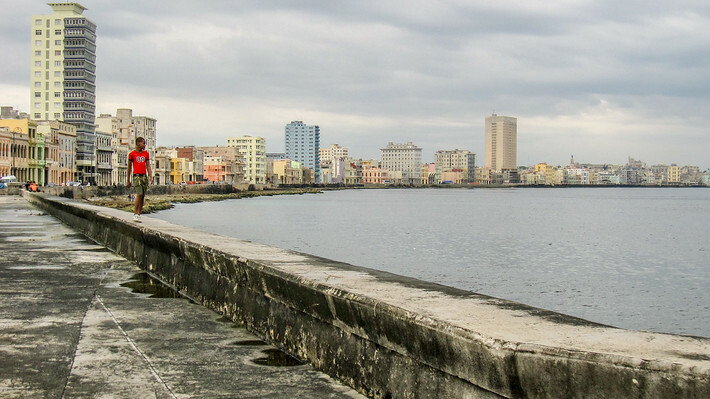 The thunderclouds hung low for hours over Havana, Cuba before my friend Louise and I decided enough was enough–if the rain was going to play a game of chicken with us then we were going to spend the afternoon exploring the city instead of hiding indoors in anticipation of the thick sheets of rain that had, for six long and cold days, followed us around the island like a lost puppy. You know that idyllic image of American life in the 1950s? You know the one I mean: pretty little suburbs with neat yards, low white picket fences and neighbors pruning their roses while tossing friendly hellos to their neighbors? I wasn’t alive back then so I don’t know how much of that image was the peachy-keen, wholesome advertising of the era and how much was true, but I do know it’s not a part of our culture any more. Neighbors don’t bring you a fresh apple pie to welcome you to the neighborhood and huge porch swings and late afternoon conversations with your neighbors are the exception, not the rule. We lost that sense of community somewhere along the way and we replaced it with other forms of community. Global transportation and easy communication like Facebook means I have never given up my close friends when I moved across the country — and then left the country altogether for other continents. 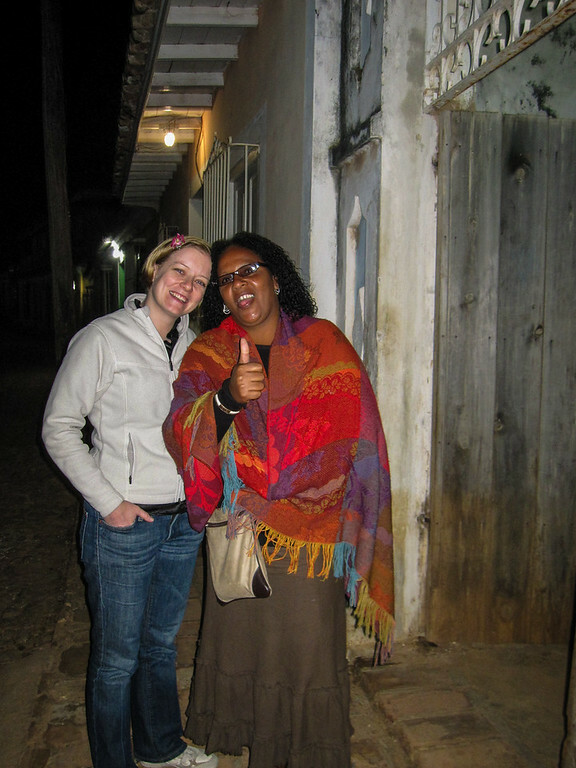 Over the past years of travel I’ve been surprised to see many cultures maintaining their local communities in addition to the global connectedness the internet fosters. Traveling through Bosnia was my first exposure to a full sidewalk café culture. The outdoor evenings in Bosnia are suffused with a low buzz of voices; locals socialize at their nearby café, people-watching and enjoying the company of friends — it was like a warm hug when I went out for my evening meals. 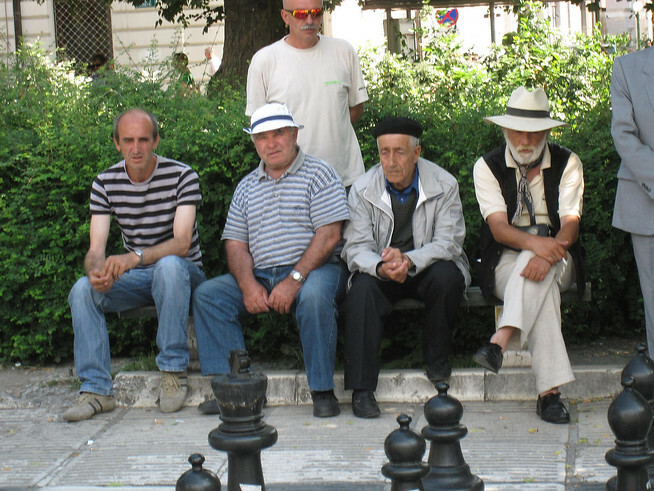 Six o’clock is the social hour in Bosnia, time spent gossiping over the clink of beer glasses. By evening, I was surprised to see the sidewalks and streets of Sarajevo and Mostar overflow with tables full of chattering locals, not just those tourists forced to hunt down their nighttime food. 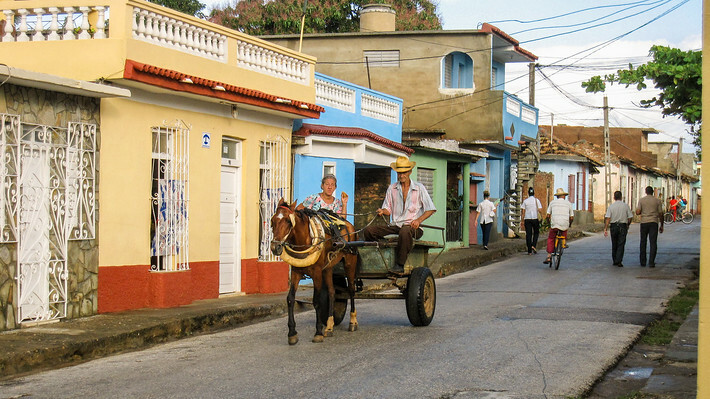 Cuba’s sidewalk culture is different but channels a similar essence. 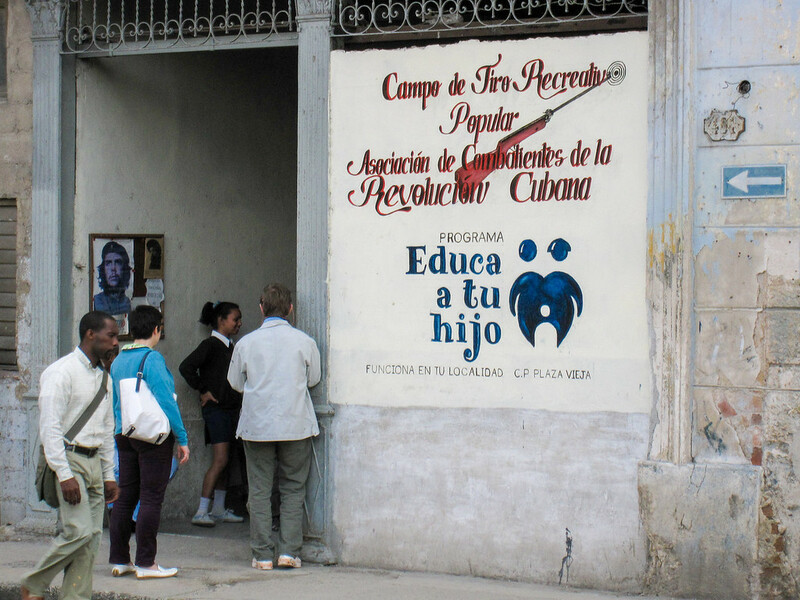 Instead of cafes lining the streets, the actual structure of the houses facilitates a friendly and open community. Like in Bosnia, late afternoons are prime gossiping time and I watched neighbors walk the streets, stopping at the long barred widows of their friends to share news and conversation. Throughout the day the elders sit in rocking chairs in their windows, the grandmothers quietly knitting while keeping close tabs on every single thing happening in their territory. The parks are filled to the brim — and not just with children! 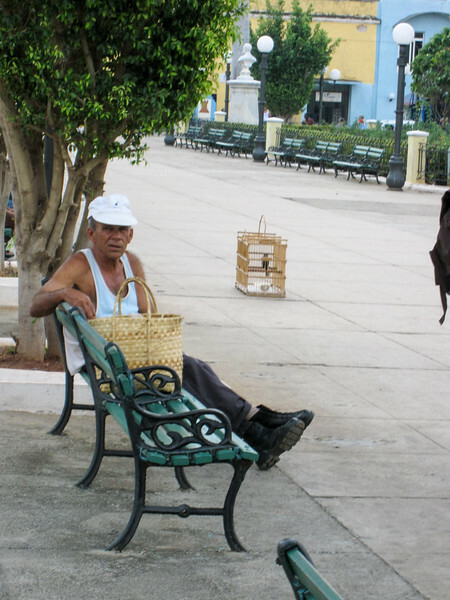 The elderly are a part of the action too, lining the benches, sitting around games of chess, keeping tabs on the grandchildren. The family units are still intact, and even beyond that, it’s as though the entire neighborhood is in this life together – they’re on the same team, friends. Children have more freedom to roam because the neighborhood acts almost as one organism, a unit of solidarity. 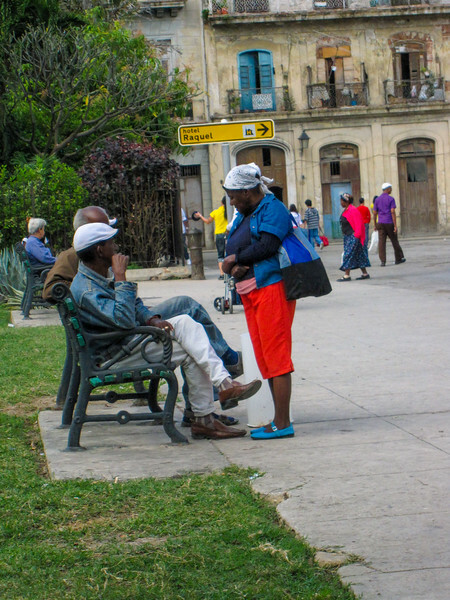 I loved Cuba for that; the sense of community is palpable even walking through as the obvious gringo (no doubt because some of the chatter was about me as I walked by!). So, What Happened in the US? My culture lost the togetherness somewhere along the way; our family units are smaller in the US, and communities less of, well, a community. On the other hand, we have often embraced a larger network of friends who act as our families. I’m not sure what to think of this shift — it’s certainly not inherently good or bad, but rather an observation. What I’ve taken away from all of this though, through traveling and observation, is that I linger longer at dinner with friends, look at my watch less, and enjoy the experience of being a part of that social group. Experiencing these cultural differences over the past several years, in Cuba, Bosnia, Italy and Ireland — all of these countries have taught me to be more invested in my friends, family and experiences when I’m there with them than I was in my more self-absorbed pre-travel days. Thoughts on sidewalk cultures elsewhere in the world? Am I way off in thinking that America just doesn’t quite have that togetherness anymore? 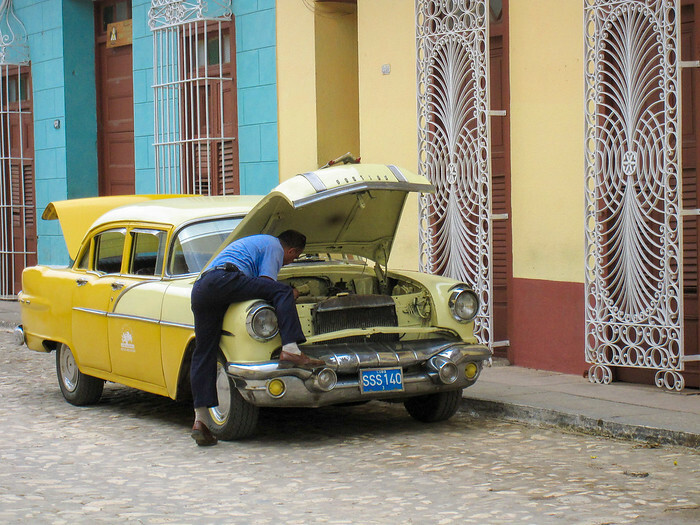 Heading to Cuba or Bosnia? Check out our guide to traveling Bosnia & Herzegovina. 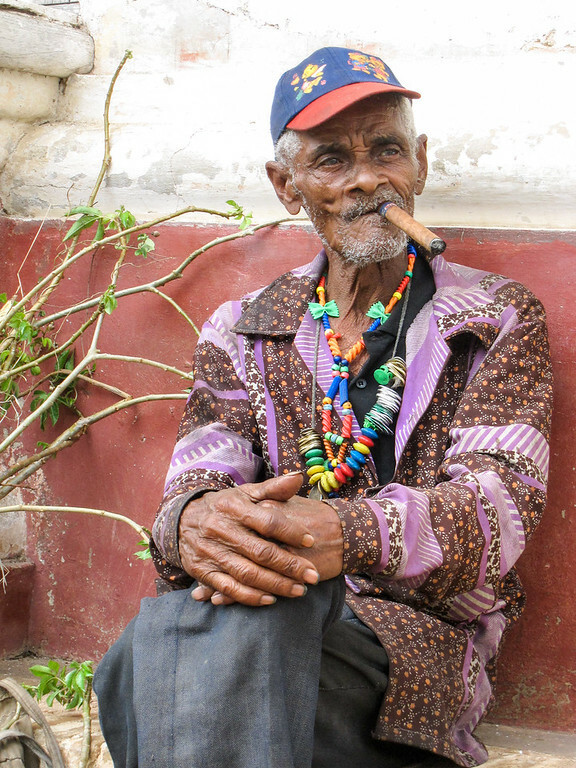 I haven’t talked much about traveling through Cuba but this image is pretty iconic Cuba in my memories. 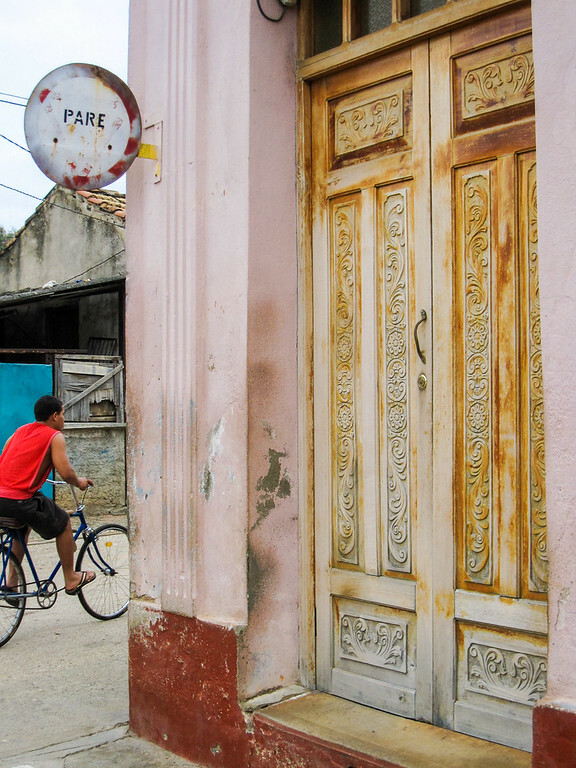 The cities in Cuba are filled with crumbling houses once painted with an array of blues, yellows, and oranges but the wealth that built most of Cuba decades ago has simply faded over the years—zero maintenance and little money an equalizer in the city. In this “equalization,” there was also a standardization of sorts that added a uniform element to the houses and the streets in the city. 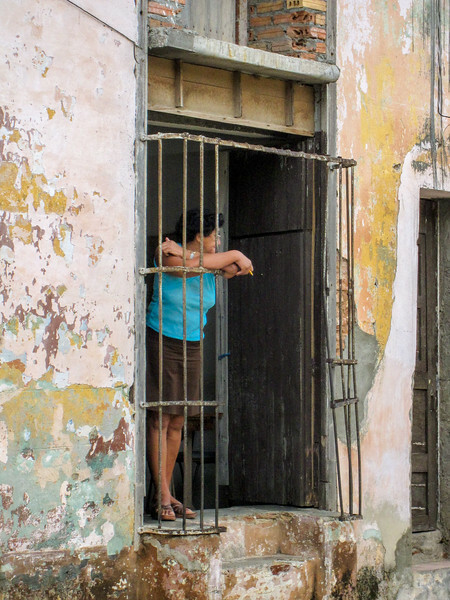 Houses that once might have stood out with unique architecture, colors, or styling blended into a state of disrepair evident throughout the grids of streets in Trinidad and Havana—the two cities I visited. 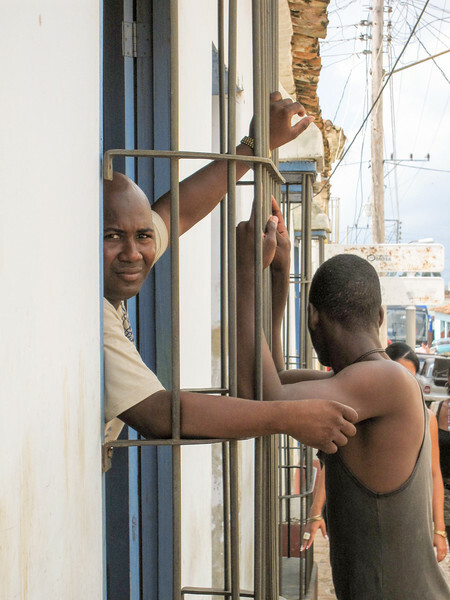 Two men chit-chat through the window of a house in Havana, Cuba. Why does this sum up my time then? 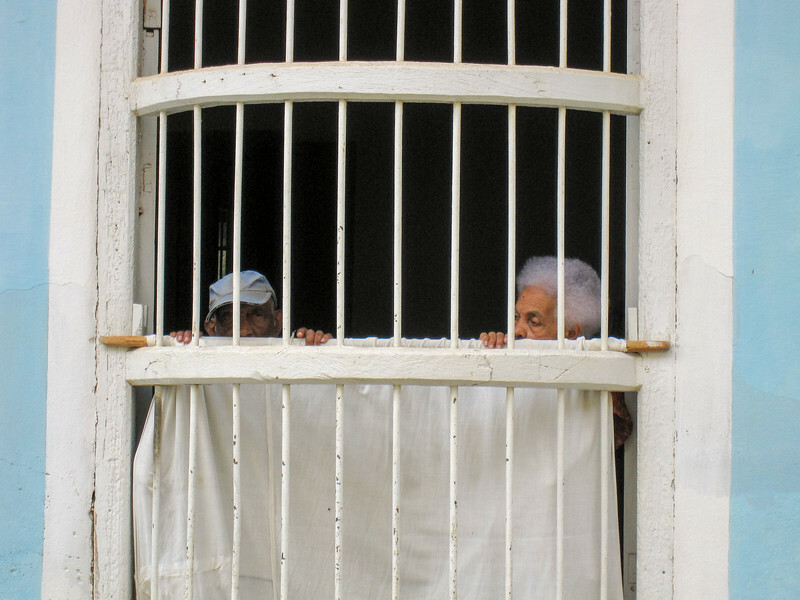 Every house has these huge floor length windows looking onto the streets and it’s completely common to glimpse grandmothers perched in the windows rocking gently—or friends chatting through the bars. Children play in the windows and dogs poke out their heads. Business takes plays through the wire bars too, with food and cash exchanging hands between neighbors and friends. 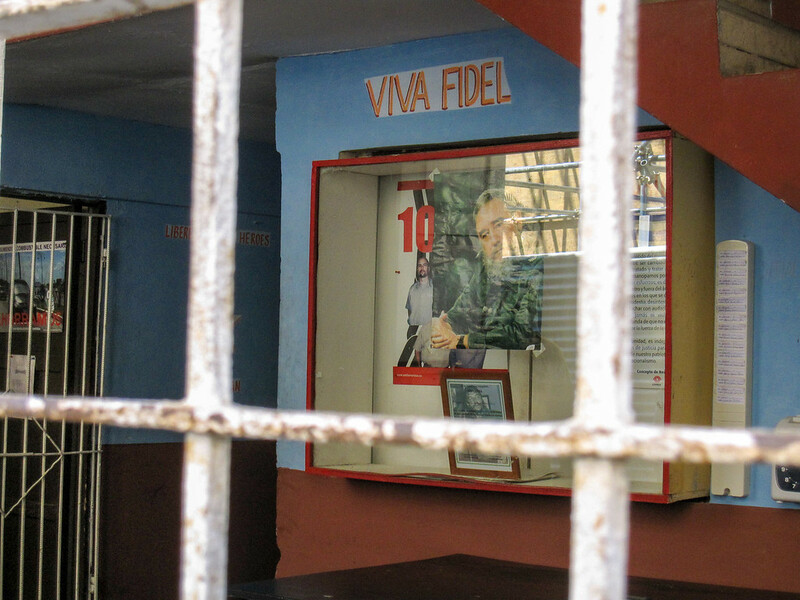 It has taken me a while to look through the photos I took in Cuba as I was traveling through the region, but the wire-frame windows are a lasting travel memory of my time there. 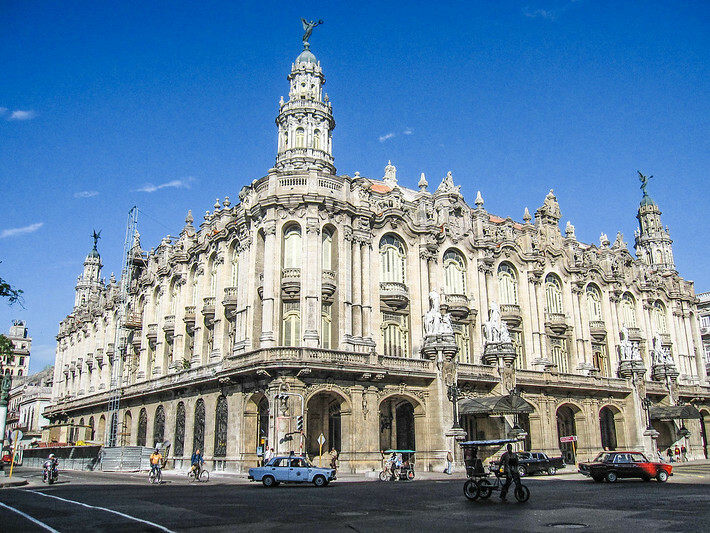 More Cuba stories coming this summer; I was antsy about posting them for a while, but I think it’s generally in the clear now as the US government has gotten a lot more lenient in recent years.